HENDERSON, Nev. – The Henderson Chamber of Commerce and the Henderson Business Resource Center will present “Cashflow Management: Getting a firm handle on your numbers” Thursday, May 27, as part of their Roadmap to Success workshop series. Bob Hart, vice president and relationship manager of small business administration (SBA) loans for Nevada State Bank, will discuss what lenders look for in tax returns and business statements, how lenders calculate Global Cash Flow and what SBA loans are available for your business. Hart has more than 30 years of finance and banking experience, including 12 years as an SBA loan development officer. 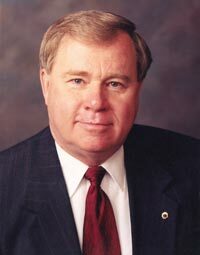 He was named the Nevada Financial Services Advocate of the Year by the Small Business Administration in 2005. Hart is also the recipient of the SBA’s community service award which honors professionals who provide support to Nevada’s small businesses. All chamber members and the public are invited to attend. There is no cost for members. Cost is $25 for non-members and breakfast is included. Seating is limited and people should RSVP by Monday, May 24. To RSVP, call the Henderson Business Resource Center at 702-992-7200 or e-mail info@hendersonbizcenter.com. For more information about the Henderson Chamber of Commerce and its programs, call 702-565-8951 or visit www.hendersonchamber.com.